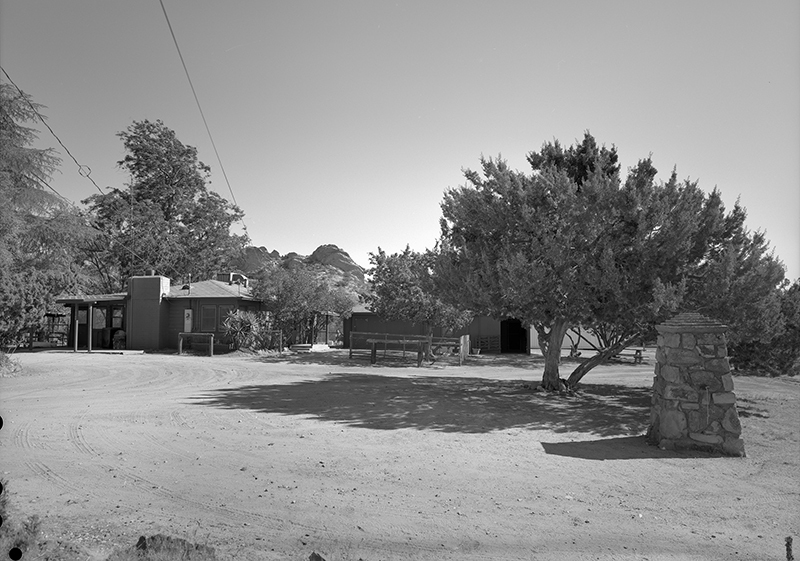 SCVHistory.com | Agua Dulce | Toney Home (Ranger's Residence), Vasquez Rocks | HABS 2009. Toney Home (Ranger's Residence), Vasquez Rocks 2009 Establishing shot, looking east/southeast toward north and west elevations of Ranger's Residence, with rock formations in the background. Toney Home (Ranger's Residence), Vasquez Rocks 2009 View facing southeast toward north and west elevations of Ranger's Residence (left) and Garage (right), with stone pillar in foreground. Toney Home (Ranger's Residence), Vasquez Rocks 2009 View facing northeast of east wall in living room, interior view of original windows and doors. 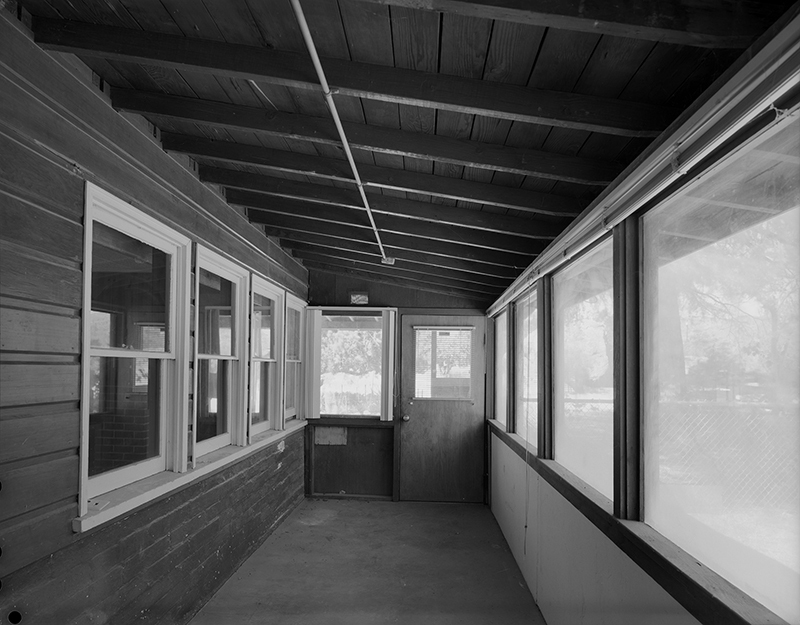 Toney Home (Ranger's Residence), Vasquez Rocks 2009 View facing north, interior view of enclosed (east) porch. 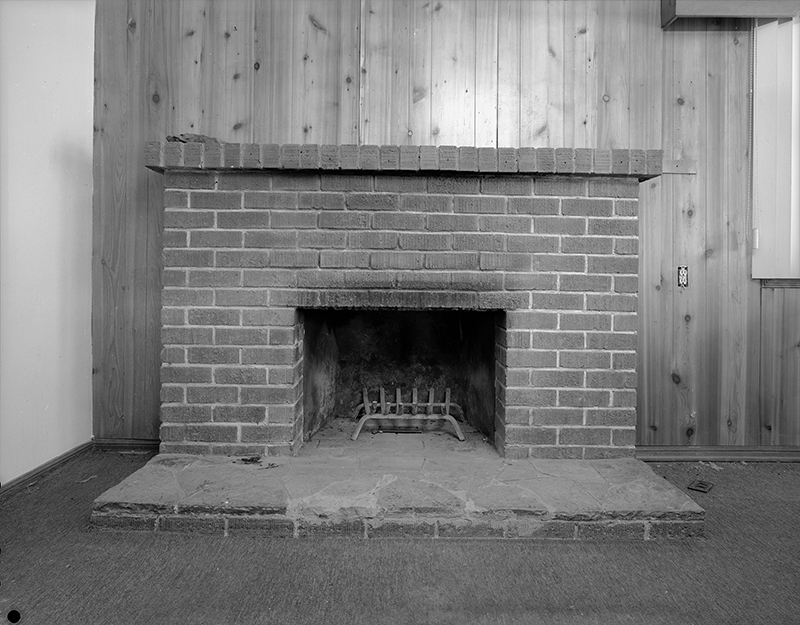 Toney Home (Ranger's Residence), Vasquez Rocks 2009 Detail shot of fireplace located on north wall of living room, view facing north. Toney Home (Ranger's Residence), Vasquez Rocks 2009 Detail of bathroom tile work; view facing southwest. Toney Home (Ranger's Residence), Vasquez Rocks 2009 Stone pillars and wall located northwest of Ranger's Residence, view facing southeast. 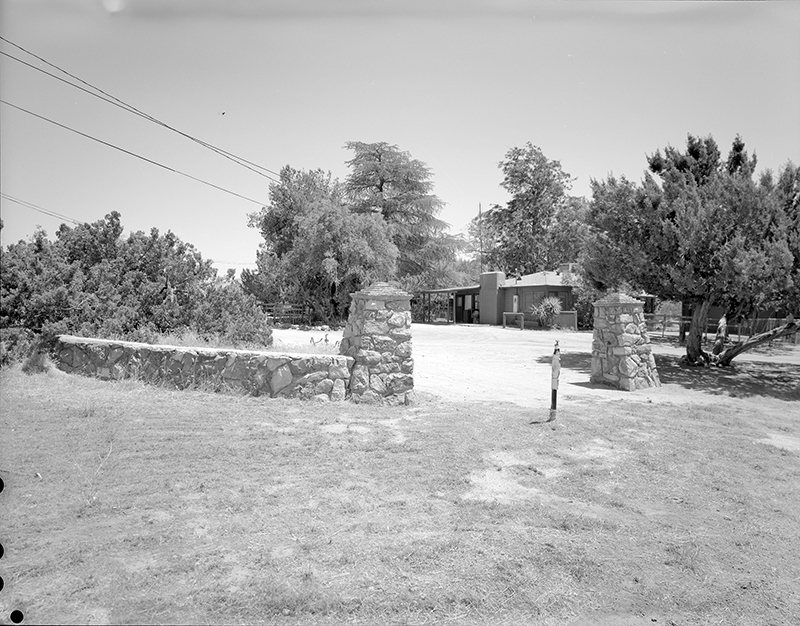 Description: Toney Residence, aka Ranger's Residence, 10700 Escondido Canyon Road, Agua Dulce (Vasquez Rocks Natural Area Park). Source: Photos created 2009 by Clarus Backes and David Lee, Sapphos Environmental Inc. (EIR consultants for the Vasquez Rocks Interpretive Center). 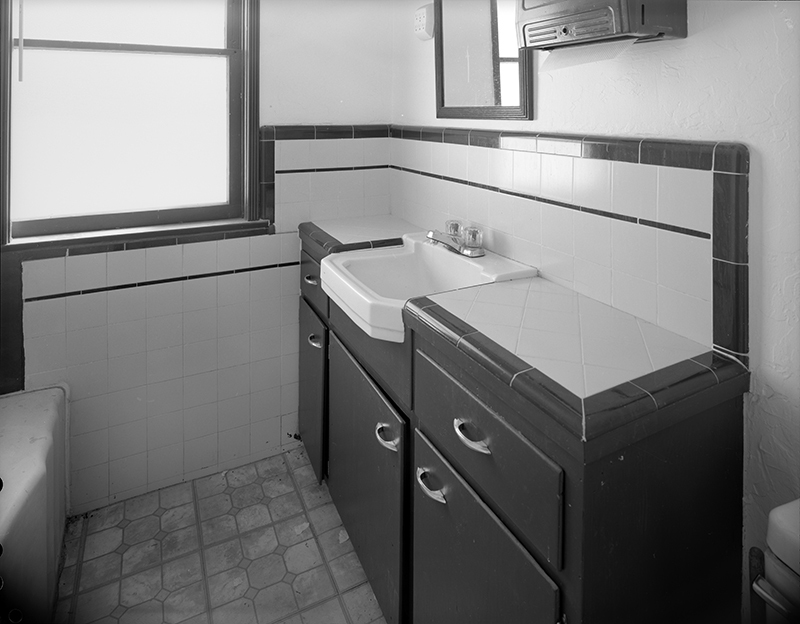 Old-style HABS transparencies. Photo repository: Library of Congress, Washington, D.C. Collections: Historic American Buildings Survey/Historic American Engineering Record/Historic American Landscapes Survey. Significance (written 2009): Constructed between 1933 and 1938, the Toney Residence is associated with William H. Kreig; his nephew, Ray A. Toney; and great-nephew, Edward A. Toney, a pioneering family of Agua Dulce. Kreig settled in the area in 1919, and his nephew and great-nephew constructed the residence. Edward A. Toney spent his childhood at the Toney Residence and later aided in the development of Valencia as vice-president of The Newhall Land and Farming Company. The residence is significant for its association with agriculture, recreation and tourism, and entertainment as set locations for the film industry in the early 20th Century. It is the last remaining resource associated with these industries in Vasquez Rocks Natural Park Area. 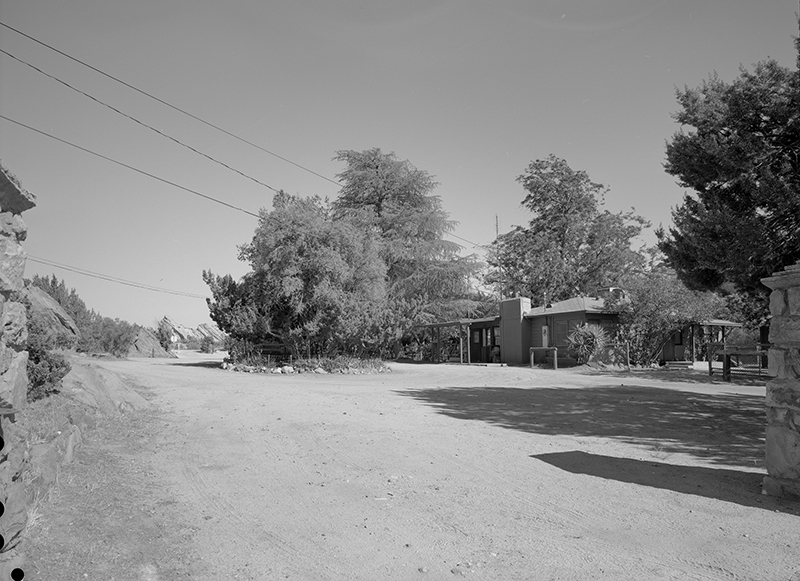 The County of Los Angeles leased the property from the Toney family in 1964 and eventually purchased it in 1967. It was occupied by the park ranger until February 2005 when it was purchased and is currently used for storage. Webmaster's note: Since 2009, the building was restored and now (2015) houses park staff offices. 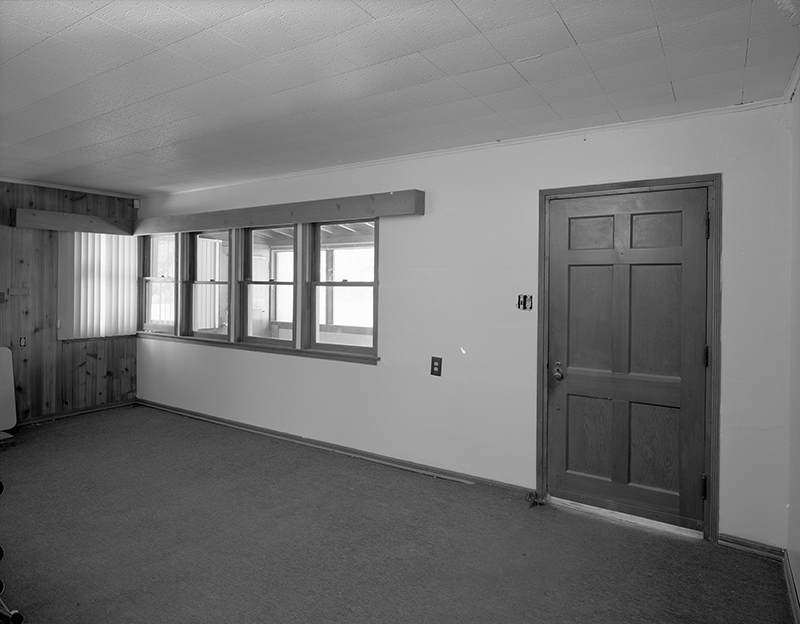 9600 dpi jpegs from digital images of BW HABS transparencies, 2009 | Online images only.